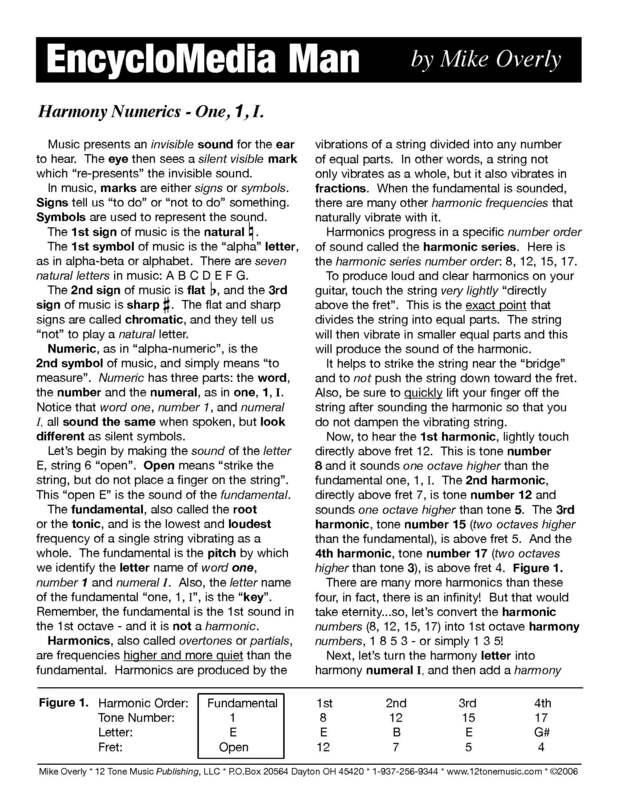 In this lesson, the first five harmonics in the harmonic series are presented. These five harmonics are then shown as scale degree tone numbers: 1, 8, 12, 15, and 17. These five tone numbers are then converted to their 1st octave tone numbers: 1, 3, 5. Tone number 8 of the second octave is also included. Then, these four tone numbers are added to harmony numerals which creates four intervals: Unison, Octave, Perfect 5th and Major 3rd. An interval is harmony of two sounds. 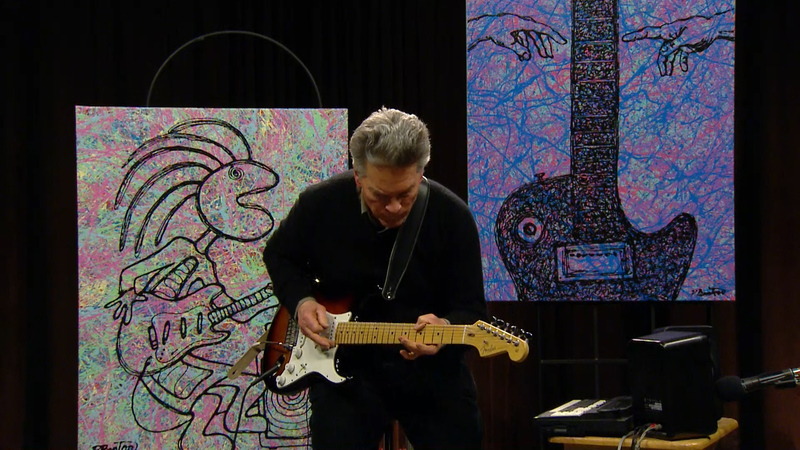 Finally, these intervals are illustrated on the guitar fretboard. 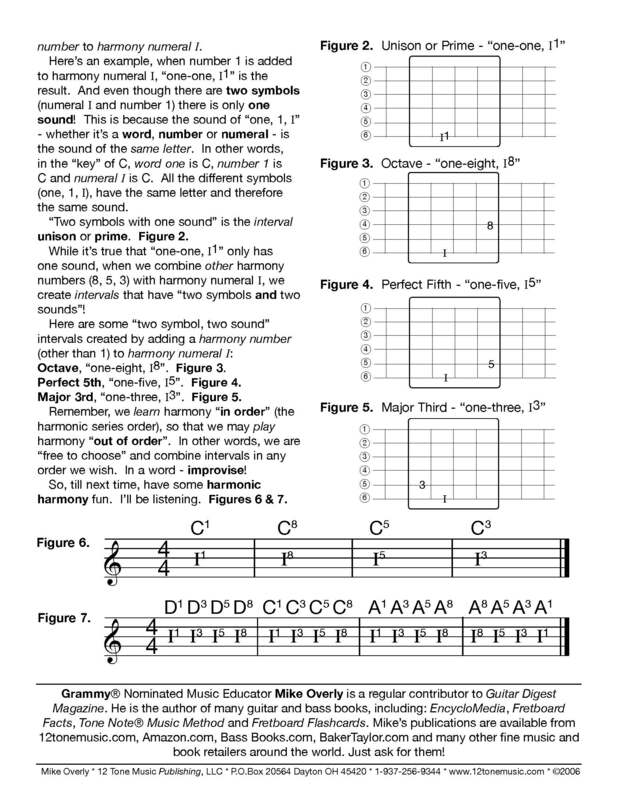 However, it should be noted that these intervals have the same pattern on a 4, 5 or 6 string bass. 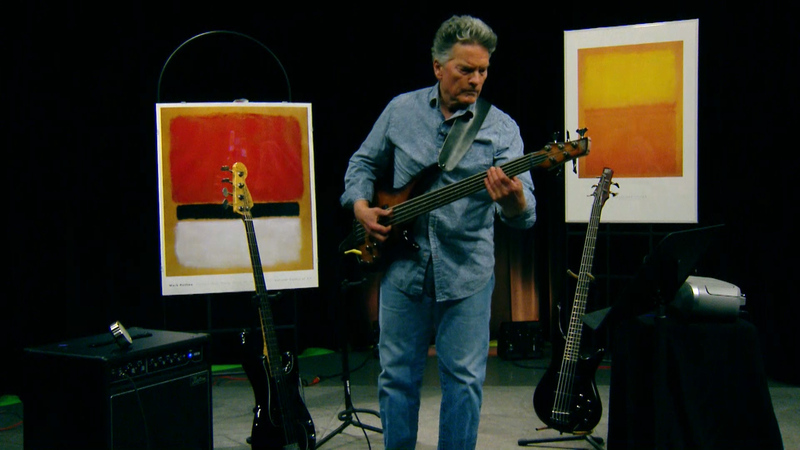 Join GRAMMY® Nominated Music Educator Mike Overly as he presents 13 iconic bass riffs used by Eric Clapton, James Brown, Herbie Hancock, SRV, Elvis, Ray Charles, Miles Davis, Albert King and others. Regardless of the hardships that seem endemic in the music industry, it’s hard to give up on a dream. So, for those tenacious readers out there who are still determined to work in music, it may be a good idea to find out just what kind of remuneration you can expect. How Much Does A Music Gig Pay? The above infograph is a list of salaries and pay rates from different sectors of the US music industry – performance, touring, media, etc. – which should give you a good idea of how much a music gig pays. It has been widely discussed across social media channels and the general sentiment from readers is one of optimism. Play On! You are currently browsing the 12tonemusic blog archives for July, 2015.